Google Voice - voice recognition risk? Posted: Mon Oct 23, 2017 9:55 pm Post subject: Google Voice - voice recognition risk? and then link name (J Doe) to my J-Doe name which I posted to my contacts via my Gmails... and my Gmails, in turn, are linked to my YouTube posts (thru IP harvesting)? 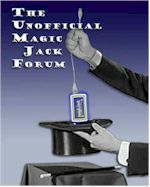 I ask this, because I just bought an OBI200, but not yet transferring from Magic Jack, due to this concern. Also - for privacy - can I use any fake phone number to set up a Gmail account (for GV registration? Where can I get hold of a fake phone number? Can I set up a Gmail account at local library without worry that Google can cull my name from the library? Is there another way - other than traveling to the library? I ONLY UNDERSTAND SIMPLE NON-TECH-TALK! Hello, this is Google. We've tracked you down, J Doe. We're coming over.